Some news on the progress of the new South African Mining Charter. Hope you enjoy the articles and have a great day! Please follow the links to the source of the articles. “South Africa aims to finalise a third version of a hotly contested mining charter in June, mines minister Gwede Mantashe said on Tuesday, later than the government had predicted last month. South Africa’s mining industry has been grappling for years with depressed prices, outbursts of labour and social unrest and policy uncertainty. The charter’s controversial areas included raising the target for black ownership to 30 percent from 26 percent. “New rules governing black ownership of South Africa’s mining industry will be completed “very soon”, President Cyril Ramaphosa said at a Japan-Africa trade forum in Johannesburg. “The mining charter will be finalised very soon and we have set a deadline,” Ramaphosa said, without giving details of the timing. Here is another post related to our one from last week on how air pollution is damaging our health. This article discusses how exposure to particulate air pollutants are being associated with numerous cancers. “Researchers have found that long-term exposure to environmental pollutants was associated with increased risk of mortality for many types of cancer in an elderly Hong Kong population. Particulate matter is the term for particles found in the air, including hydrocarbons and heavy metals produced by transportation and power generation, among other sources. This study focused on ambient fine particulate matter, or matter with an aerodynamic diameter of less than 2.5 micrometers (PM2.5). For every 10 microgram per cubic meter (µg/m³) of increased exposure to PM2.5, the risk of dying from any cancer rose by 22 percent. The researchers recruited 66,280 people aged 65 or older between 1998 and 2001, and followed the subjects until 2011, ascertaining causes of death from Hong Kong registrations. Annual concentrations of PM2.5 at their homes were estimated using data from satellite data and fixed-site monitors. After adjusting for smoking status, and excluding deaths that had occurred within three years of the baseline to control for competing diseases, the study showed that for every 10 µg/m³ of increased exposure to PM2.5, the risk of dying from any cancer rose by 22 percent. Increases of 10 µg/m³ of PM2.5 were associated with a 42 percent increased risk of mortality from cancer in the upper digestive tract and a 35 percent increased risk of mortality from accessory digestive organs, which include the liver, bile ducts, gall bladder, and pancreas. For women, every 10 µg/m³ increase in exposure to PM2.5 was associated with an 80 percent increased risk of mortality from breast cancer, and men experienced a 36 percent increased risk of dying of lung cancer for every 10 µg/m³ increased exposure to PM2.5. The team believe that possible explanations for the association between PM2.5 and cancer could include defects in DNA repair function, alterations in the body’s immune response, or inflammation that triggers angiogenesis, the growth of new blood vessels that allows tumours to spread. In the case of the digestive organs, heavy metal pollution could affect gut microbiota and influence the development of cancer. The large scale of the study, as well as its documentation of cancer-specific mortality, enables a detailed investigation of the contribution of particulate matter to these cancers and counters the common problems associated with research into mortality via specific types of cancer in a population. “Air pollution increases the risk of lung cancer. For each individual person, the increase in risk of cancer is small. But because everyone is exposed to some air pollution, when we think about big numbers of people, like the population of a country, air pollution has a much bigger effect. The research shows that tiny dust-like particles – called ‘particulate matter’, or PM – are an important part of air pollution. The smallest particles – less than 2.5 millionths of a metre across, known as PM2.5 – appear to be behind lung cancers caused by pollution. To read further please follow the above link to the article. We all know air pollution is causing us health problems. Here are a few consequences you might not have been aware of…………..
You probably already know about some of the dangers that severe air pollution exposure can cause and how places like stoplights at intersections can increase your exposure to harmful air particles up to 29 times more than the open road. While these facts are startling, you probably don’t know about the almost invisible dangers. Namely the numerous diseases and cognitive issues now being linked to air pollution. Here we’ll get into five ways you’re letting air pollution destroy your health. Despite the slow turn to more sustainable forms of agriculture and industry, air pollution is still a big problem. Here are just some of the ways air pollution negatively affects your health. It may seem crazy to think that air pollution could lead to something as serious as suicide, but studies in Taiwan, South Korea, China, and now Utah suggest a link. Not only is suicide the 10th leading cause of death in the US, it is the number 8th cause of death in Utah. Obviously, there are many factors that must be considered when discussing causes of suicide; however, suicide rates increased in Utah during the spring and fall (a time when certain aspects of air pollution can be worse). Those who fly frequently (especially pilots or other airline staff) could potentially be more at risk for certain issues, dubbed “aerotoxic syndrome.” Most planes have a mechanism that compresses air from the engines and uses that as air in the cabin, but sometimes, these mechanisms malfunction and allow oil particles to taint the cabin air. Many airline employees have mentioned this, but one pilot, Richard Westgate, passed away in 2012 after claiming to be a victim of poisonous and toxic cabin fumes. With land for burials becoming more scarce (and also more expensive), many people turn to cremation as an alternate form of honoring the body of a loved one who has passed on. The unfortunate side effect of cremation is mercury emissions. Honoring a fallen loved one should not come at the price of endangering yourself and others, but there are alternatives such as alkaline hydrolysis or “liquid cremation” that are far healthier for the environment and for you. Autism and related disorders have been on the rise for some time and research suggests air pollution may be a contributing factor. Several reports noted a link between exposure to toxic metals and other pollutants in children who were more at risk to develop autism. Other studies focused on pregnant women and how closely they lived to freeways and other sources of heavy pollution. All of the studies found similar exposures to a handful of particular pollutants that seemed to increase the risk of autism in newborns. It’s difficult to remove all air pollution from your life, unfortunately, but you can monitor and limit your exposure. Keep abreast with local news about your city or even check in on a Breathe Cam. Keep plants inside your home to help remove harmful pollutants. Consider an air purification device, they can be a great active approach for purifying the air in your home. 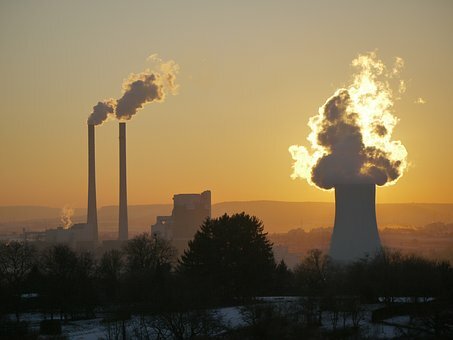 NEW YORK, Dec 18 (Reuters) – Children whose mothers were exposed to high levels of fine particulate pollution in late pregnancy have up to twice the risk of developing autism as children of mothers breathing cleaner air, scientists at Harvard School of Public Health reported on Thursday.